I am staying here beginning of May. What facilities r there in the studios. I understand no toaster. Might bring a small one. How bout frying pan? We visited this hotel from 10 July 2011 until 17 July 2013 and we loved every minute we were there. We were a family of 7 aged 66, 60, 36, 36,31, 8 and 6 so we were not looking for a clubbing loud noisy holiday and the Macedonia was perfect for us all. They were very friendly from the moment we checked in to the moment we left. The apartments were very comfortable and clean and plenty big enough for us all.The pool was very good and there was always plenty of sunbeds available throughout the day. They served drinks, meals and snacks all times of the day and evenings and they were of very good quality and very reasonably priced (cheaper than you would pay in the UK). ALL THE STAFF WERE VERY FRIENDLY AND HELPFUL. The hotel is a very short walk to the mile long strip of restaurants, bars and cocktail bars and a bit further from the old town which again had a good choice of restaurants and bars. They had entertainment on in the evening but these were generally turned off at midnight. myself and my fianc� went there for two weeks in summer 2010. we went in a group of 8, four couples. the place is clean, i found the staff to be pleasant, abit serious at the beginning but u have to just relax and try buzz off them a bit. we were prob a pain in the a**e to a few guests cos we played music at night and were asked to turn it down. all in all we had a brill time, loads to do in zante and its wat u make of it anyway. the apartments are fine not wat people r saying. how long do u actually spend in it anyway. thought it was great recommended! Stayed here in the summer of 2011. The apartments are basic but cleaned everyday!!! Thepool is lovely but can b a bit crazy with people bombing in at times!!!! however, found these apartments good with lovely bar food as an afternoon snack!!!! u wil always get a deck chair!!! its very close to the airport so u can almost see in the windows of the planes passing but this added to our experience!!!!! would def stay here again!!!! This is the worst place I have ever stayed in on Greece!! The owners are very rude and misserable! I traveled Greece for over 15yrs and lived and worked on Kefalonia for 7 yrs! Between 2and 5 in the afternoon on Greece its an offence to make any noise at all and after 12pm!! This accomodation played music and had the foot ball on at the same time all day!!! One night on my holiday this pool bar conected to this hotel had the kareoki blasting the place out!! (They cater for the larger louts that are not even staying at this accomodation!) I asked the owners son Nicos to turn the music down, he was very rude and threw his head up in the air!! I gave him a futher 10 mins to lower the music but he ignored my request, by this time it was 12.30 am. I rang the police to report the noise, the no is for the police on Zanti 00302695051251(so any one having problems with noise on Zanti ring this no) The police came stright away and warned them!! as they will give them one warning and if it happens again they will close the bar down!!! As you can guess they were not very happy chappys after this!! They were even more misserable looking than before!!! The place could be really nice if it had owners who were nice and polite to their customers at the hotel and not just wanting to make more money by attracting larger louts from other accomodation around their bar!! Not nice Greeks at all at the Macedonia Hotel!!!! Where is the Macedonia hotel located in relation to the Antonis Studios. 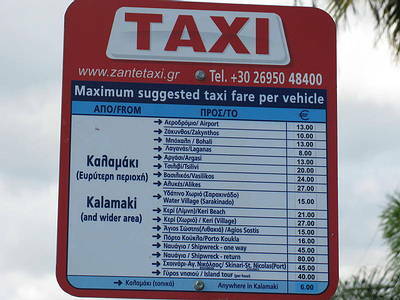 Stayed at the Antonis last year so need to get my bearings before booking as no idea where the Macedonia is. Hi we have just returned from macedonia hotel it cost us 25 euro for 2weeks. U can also pay for airconditioning costs around 100 euros for 2 weeks. We did not bother though and managed ok, have a good time, we did. Thanks- thats a great help!! We have jurst returned from the Macedonia Apartments. All the rooms are air conditioned but the cost is 100 Euro for a fortnight. Stayed at the Macedonia from 30 June 2008 for 2 weeks. Very friendly staff, rooms were basic but clean. No microwave or toaster which we were led to believe - was not very happy as I have an 11 month old baby and had taken microwavable sterilisation bags, we had to improvise with a bucket and milton tablets. Also not very happy about the travel cot supplied for two weeks, our baby ended up sleeping with us. Air Conditioning is 100 euro for the fortnight but it is a must. We were approx 10 mins from the runway, you could probably see the passengers on the planes flying over, we did get used to it, however the first flight was 5:15 am so be warned!! Kalamaki is a lovely place, not really for young toddlers though, we went with a big party and the older ones could entertain themselves in the Internet Cafe or computer games but nothing really for the younger ones. Mini Golf was good, however its a bit hidden away, well worth searching out though. Food was excellent, we only had one bad experience and that was at Mermaids - food not cooked (raw), definitely recommend Heaven's Kitchen and Olive Tree. As for bars, Down Under, Venue Bar - if you are not aware Greek Laws say no music outside after 12pm so make sure you get inside the bars in good time to get a seat (usually most are air-conditioned). Go to the Water Village, we went on our last full day, it was excellent, get there early, we didnt have to queue for the rides. Hi there, I am staying in the Macedonia Apartments, its our first time and we have an 11 month old baby, are the studios suitable for the three of us, I didnt realise that they do not have a separate bedroom so I am worried we will be stuck for space, Direct Holidays have told us its too late to upgrade now and that if we speak to the reps when we get there they may let us, we fly out 29 June. Overall is Kalamaki a nice place, there are a group of us going ranging from 11 months to 40+ years in age so I am sure we can make a fun time whatever the case. Ben you will have no problems with direct holidays - great firm to go with. Kalamaki is one of the best in Zante - not a busy as Laganas which is San Antonio with a greek touch! At night go to the Drunk Corner where you will be made to feel very welcome by Athina and Tasos ( bro and sis) they run this pub to perfection. You will also have a great laugh with mad George(barman). Hope you have a fab time!! Im going back in 2 days as we were there in May and loved it. Hi i havent stayed at Macedonia but i have booked through Direct holidays. They are great didnt have any problems and they were very professional. Reps on resort are great and always at hand. I am sure you will have a great holiday. i will be going back next year and i am looking to also stay at Macedonia. It looks great but it would be nice for any reviews. Just spent a lovely two weeks at the Macedonia. The pool side bar serves great food. They have just built a play park for kids and its very good. Had a really good time. only got home yesterday and want to go back already! All the staff were very friendly and helpful. The food was very nice from pool side bar. We went to a really nice resteraunt called 'HERA' i strongly recomend that you go there. The staff are friendly and helpful and it is very clean. Try the Lamb Kleftico if you go there it is delish!!!! the beach is only 5-10 minutes down the road and is very nice and clean. concidering that the beech is the nesting ground for the careta turtle i didnt see and ther. Your holiday rep should give you a welcome talk on the first or second day and offers a selection of days out you can do. Me, my Mum and Dad went on a cruise around the island and a couch trip called the Dusk Tour. The Cruise takes you to Spuglers cove and St Nicholos' port, i recomend you take a Snorkle if you go on this trip because i found a few facinating fish swimming around. The Dusk tour takes you up a mountain to the only natural history museam on the island, Solomos wines were you go to here about the family history and they display a variaty of wines for free tasting. It was very cheap to by wine on the tour, it was 3 euros for 1 bottle and 8 euros for 3 bottles and dont worry about leaving them on the couch it is very safe. You then go to a small square above Zante town were you can get home made icecream (the caramel flavour was very nice). you then go into Zante town itself and firstly go to St Denis' church were his body is kept in a silver cascet, there is a very interesting hostory behind that. then you are left for about 2 and a half hours to have something to eat. then you are taken back to your Hotel. sahra and stu, we havent stayed here but looks good. 200mtr to taxi rank outside marelen and goldensun hotels near beach, 300mtr to beach 10 mins walk to mermaids and less to some very good restraunts and bars along the way. yes it is just off the main road but not that much noise anywhere in kalamaki.we may be booking there end of june if we can get time off. it is on the flight path but no planes during the night so not a problem . kalamaki is great have a ggod time. 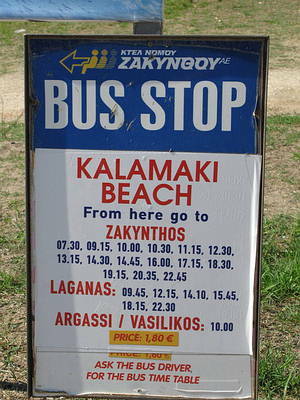 Going to from Kalamaki next year, stayin at Macedonia. Could anyone tell me how far the apts are from the taxi rank, and how far it is from Mermaids? just a quick note to say that macedonia is a fab place to stay for your hols. we have been coming to these appartments for 4 years now and have always been very well looked after from tassos and his familly. we were there for 2 weeks at the end of june and have just booked again for a week in october. Stayed in Macedonia for the first time this year, it was clean and the staff were very friendly. Noise of airport not a problem,very close to beach ,would stay there again. Despite some of the mixed comments about the Macedonia Apartments we thoroughly enjoyed our two weeks stay in August (2006). -The areoplanes do fly overhead but can become an added feature rather than a problem, after the first few days you become used to them! The apartments were clean, comfortable and quiet. Normally we like to visit different places each year, however we are already thinking of returning there next year. Nikos and Tassos were great hosts, I'd certainly recommend it!! Hi Chris, We've stayed at the Macedonia for the last two years and are going again on Sunday. The planes do fly over the apartments quite low but after the first day or so you get used to it and don't really take much notice, and of course they don't fly at night. My kids kind of like watching the planes!! Its a great family resort and the Macedonia is right on the edge of it so not noisy, but close enough to restaurants and bars and 5 minutes walk from sea.